#186) Science Talks: Wanna make ’em better? Start having critics write REVIEWS (like the theater). I dare ya. I don’t get it. Over the past 35 years the technology of science talks has changed drastically. Today there is no tolerance for outdated things like overhead projectors, but what about the content? You can present the same old disorganized mess and no one will bat an eyelash. Someone should work on raising the standards. AS INCOMPREHENSIBLE AS WE WANNA BE. 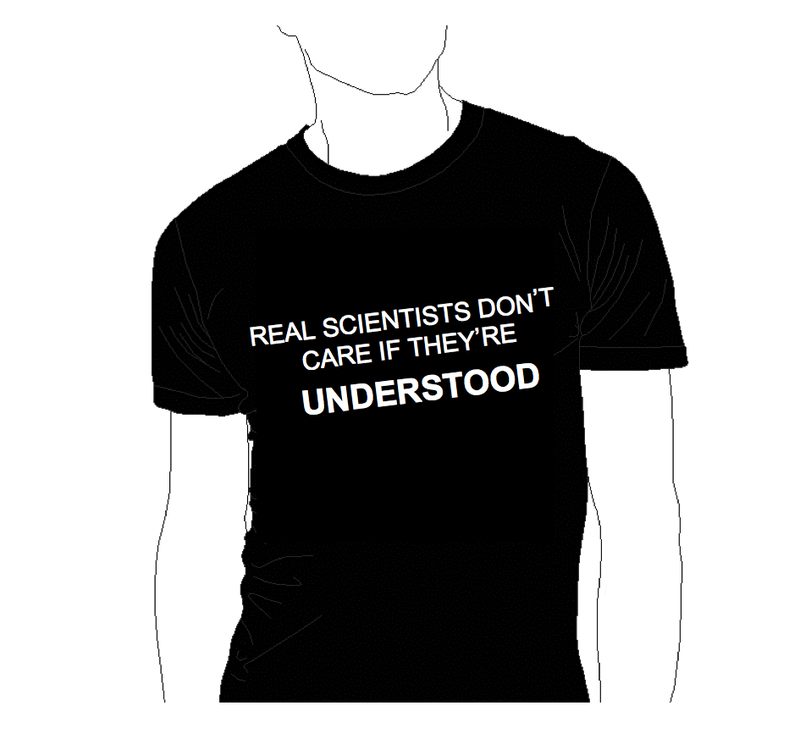 Scientists’ talks don’t have to be as bad as they are. They really don’t. There are things that can be done. Honest to goodness, there are. 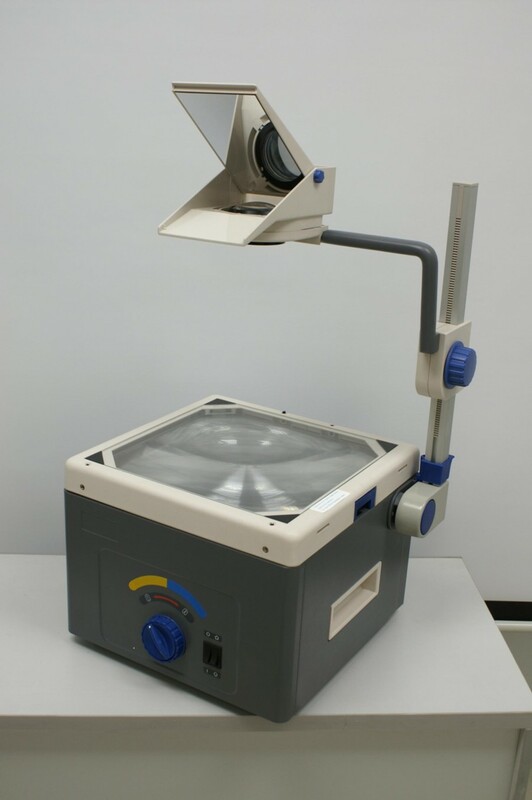 Anybody out there remember overhead projectors? Anybody remember science meetings in the 1970’s when scientists routinely slapped one hand-scribbled overhead after another onto the projector — nervously adjusting each one as they looked back and forth from the screen to the projector to the audience? Today, if you showed up with an overhead projector at a science meeting, you would be the laughing stock. Same for 35 mm slides. THE TIMES HAVE CHANGED. We have zero tolerance for people who fail to change with the times. At least when it comes to the technology of a science talk. But what about the content? What about how the information is presented? Why such intensely competitive technological standards for presentations, but NOTHING, NOTHING, NOTHING for content? It’s time for a sort of “Rotten Tomatoes” review site for major science speakers. Somebody needs to start going to major symposia and writing REVIEWS for the presentations. A presentation is mostly about “performance” — just like theater — so why not evaluate it as such. What? Would it be unfair? That’s exactly what the members of the U.S. Congress cried in the 1980’s when C-SPAN first began broadcasting live from the Senate and the House. Suddenly a whole lot of fat slob congressmen had to start dressing better, sitting up straight and stop picking their noses for fear people from their home district would see them on C-SPAN. The real answer is that the entire science community doesn’t want to confront the fact that it DOES matter how you present your work. Scientists like to blindly cling to the sacred belief that for all cases, “the data speaks for itself” — the idea that how you present research is irrelevant, the ONLY thing that matters is what is presented. Which is foolish. And lazy. ARTIFACT FROM THE PALEOCENE. This was found in a cave in France. Apparently cavemen would trace the outline of their hand on it, which was then projected on the cave wall where it would provide the initial shape for drawing turkeys.